Research Data Alliance (RDA) Europe continues its series of support programmes for data researchers and practitioners and is now running 2 Open Calls to facilitate participation of 7 RDA Early Career Researchers and 5 Expert RDA members to the 12th RDA Plenary meeting in Botswana. 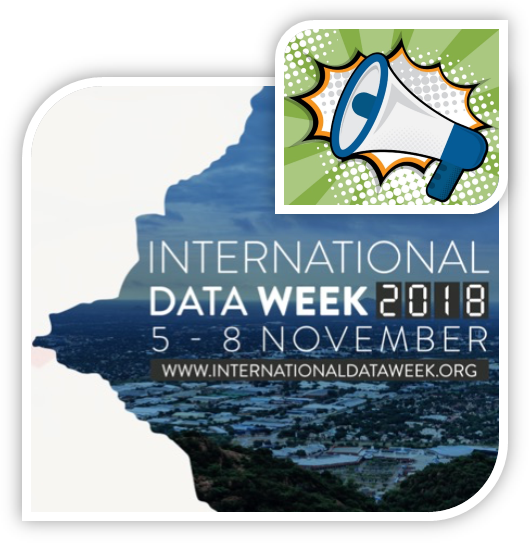 The second edition of International Data Week (IDW 2018) will be held on 5-8 November 2018 in Gaborone, Botswana bringing together data professionals and researchers from all disciplines and from all parts of the globe. Co-organized by the ICSU World Data System (WDS), the ICSU Committee on Data for Science and Technology (CODATA) and the Research Data Alliance (RDA), this landmark event will address the theme of "The Digital Frontiers of Global Science" and will combine the 12th RDA Plenary Meeting, the biannual meeting of the research data community, and SciDataCon 2018, the scientific conference addressing the frontiers of data in research. RDA Europe is seeking applications from students and early career professionals from higher education or research institutions with studies focusing on research data sharing and exchange challenges. The Early Career support programme will offer up to seven grants of maximum 1750 euro. To view all the call details and apply, you can visit the application page. The RDA Plenaries are working events built around the RDA Working Group (WG) and Interest Group (IG) meetings. If you are a mid-career or senior data professional or scientist, interested or already committed to RDA activities you can apply for one of five grants of maximum 1800 euro to support your participation to the Plenary meeting. To find out more, you can visit the Call for Experts page. The application period closes for both Calls on the 30 August 2018, 17:00 CEST, and applicants will be notified of the outcome on the 21 September 2018.